String Wax -My two scents. Cheers for this. Good to see other archers post practical and realistic reviews. Yeah, yeah, terrible pun, but it needed doing. There’s a lot out there about waxing your bow string (not a euphemism). I favour the apply wax, rub in with fingers, remove excess with a loop of thread method. There’s also a lot of debate about how often you should wax your string(s). Some say every time you shoot, some say every week, some say every 3 months etc etc. 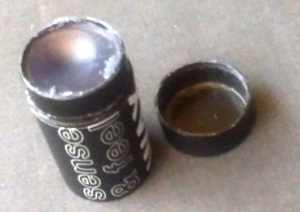 I picked up some new wax the other day, Flex Archery’s Sense & Feel wax. As the old Bearpaw stuff I’ve been using for a while was running out.